Gov. Rick Perry says he supports taking a hard look at the 15 standardized tests Texas high school students are currently required to take for graduation. Addressing the Texas Business Leadership Council on Tuesday, Perry said schools must be held to the highest accountability standards but "we can certainly debate the best ways" to do so. He endorsed efforts in the Legislature to re-evaluate testing, saying the state should find "the best mix" of State of Texas Assessments of Academic Readiness, or STAAR, exams required for graduation. 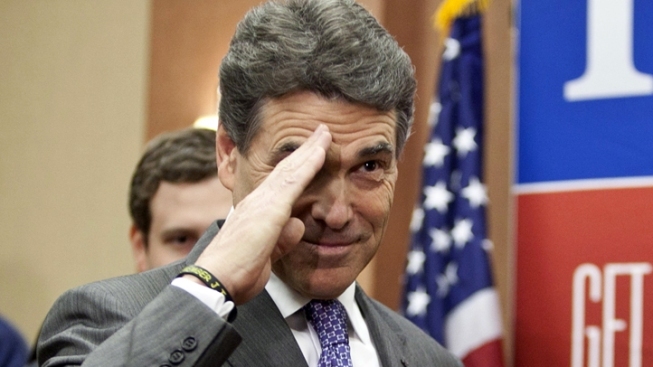 But Perry didn't say how many tests he'd ultimately like to see students take. Education Commissioner Michael Williams has acknowledged lawmakers are likely to cut the number of STAAR tests. But he says he hopes the number doesn't fall to two or three.